If you were born before the 1990s it's a pretty good bet that you remember the days when payphones were commonplace. Some of you may even recall that when the telephone first came into existence, it was considered a luxury item for only the wealthy and few. However, back in 1889 a man named William Gray created the first coin-operated public telephone that automatically collected the cost of a call. It wouldn't be until decades later that the payphone as we know it, where coins needed to be deposited in advance of placing a call, came onto the scene. Soon after, payphones were readily available and by the year 2000 the number of payphones in the US totaled 2.2mm. Fast forward to the dawn of cellphones and the number of payphones quickly has dwindled down to just 400k. We couldn't help but think about the parallel between the speed with which cell phones have all but replaced Americans' reliance on payphones and how quickly fintechs have moved to try and eat into the business of banks and become a viable threat. According to the findings of a recent UBS survey, of the banks within developed markets, those in the US and Italy face the biggest risk of having their business disrupted by fintechs within the next 12 months. This is largely because fintech products have been available longer than they have in other countries and because of greater consumer awareness. Meanwhile, cultural issues have thus far kept people in France and Japan from embracing fintechs as actively, so those countries are said to face the least risk of disruption over the coming year. According to UBS' findings, which are based on a survey of 28,000 consumers in 24 different countries, the areas most likely to be impacted by fintechs are lending, advice and international activities. On the lending front, UBS found that 25% of consumers around the world have either already used P2P lenders to take out loans, or they are planning to do so within the next 12 months. Given some banks have partnered with such lenders, this trend is already moving along - albeit probably not at the pace originally anticipated. The picture that UBS paints is even grimmer when it comes to consumers' reliance on banks for investment advice. It seems that consumers have been rapidly embracing automated (robo advisor) investment advice. This is largely because the prospect for high returns is all but non-existent in the current low interest environment so people are actively shopping around. According to the survey's findings, the global use of robo-advisory services by consumers is expected to increase by 150% within the next 12 months. 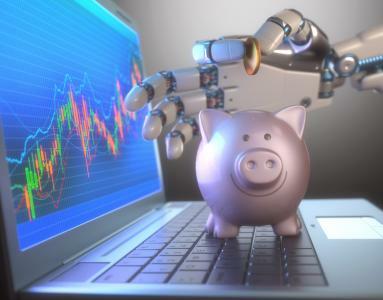 It appears major financial institutions ranging from Fidelity to Charles Schwab have jumped on this trend and are already offering competing automated online investment services to battle online upstarts. Finally, UBS found 9% of consumers have used fintech solutions to send money overseas (mostly holiday money), so this area too is one worth monitoring in the coming years. In summary, while financial technology disruptors are everywhere, it is worth noting that the majority of customers still prefer to deal with actual people when it comes to important tasks so community banks are well positioned. However, maybe now is also a good time to pick up the phone and reach out to your best customers to see if they can meet soon to discuss ways your bank can work more closely with them now and in the future. Positive economic data, ahead of the release of Friday's jobs report, led to a 4bp jump. A TechCheck survey finds 56% of banks offer mobile check deposits. Bankrate.com reports the average out-of-network ATM fee is $4.57 per transaction, a 10Y high. The fee charged by the bank that owns the ATM is about $2.90 per transaction (64% of the total), while the fee charged by the customer's own bank is about $1.67 per transaction (37%). The research found fees can vary widely depending on location, with some of the highest cities studied being: Phoenix ($5.07), Atlanta ($5.05), Cleveland ($4.98), Miami ($4.94) and Denver ($4.88). Meanwhile, cities with the lowest fees are: San Francisco ($3.90), Cincinnati (3.92$), Dallas (4.22$), Los Angeles (4.28$), Philadelphia ($4.33) and Boston ($4.33). 1) Dollar Bank, FSB ($7.4B, PA) will acquire Progressive-Home FSLA ($51mm, PA) for an undisclosed sum. The market calculates a 62% chance of an increase in the Fed funds rate at the Dec 14 FOMC meeting. Bloomberg reports the SEC is investigating whether the founder of LendingClub, encouraged the company to prop up its shares with a $150mm stock buyback without telling the board about a possible conflict of interest. Regulatory research indicates examiners like to see banks prepare 3Y strategic plans that assess the risks that could have a major impact on the business. They also look to see that the plan has been approved by the board annually. A Deloitte survey of CFOs at major companies finds areas where concerns have declined are: oil prices, equity markets and consumer demand. Meanwhile, areas where concerns have increased are: global economic stagnation, low interest rates, a strong dollar, regulatory uncertainty, the impact of the Brexit and the impact of US elections.